Sara Maitland: Bread and Roses connecting Justice and Joy. 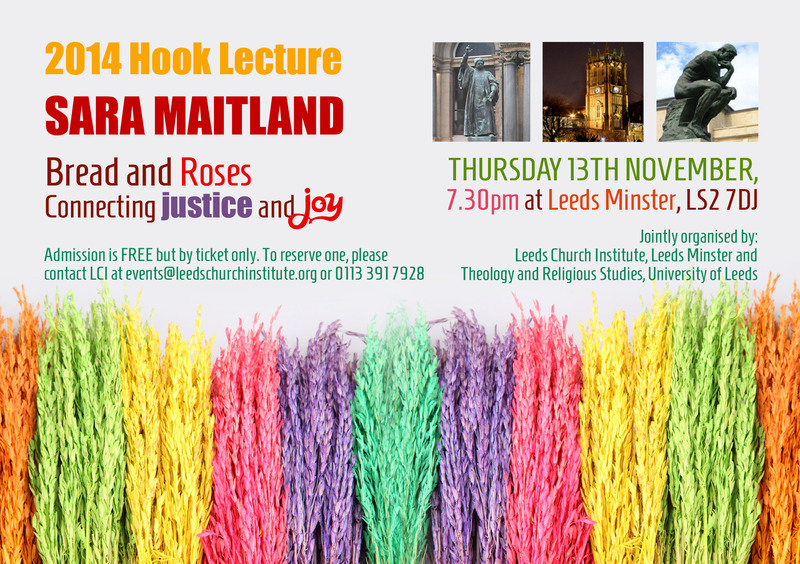 Thursday 13th November, 7.30pm at Leeds Minster, LS2 7DJ. Admission is free but by ticket only. To reserve one please contact LCI at events@leedschurchinstitute.org or tel 0113 391 7928.